Our favorite monsters Mike and Sully are back on the big screen. Director Dan Scanlon (writer for Cars) and executive producer Kori Rae (associate producer of Monsters Inc. and The Incredibles) have teamed up to produce this latest Pixar production, Monsters University. 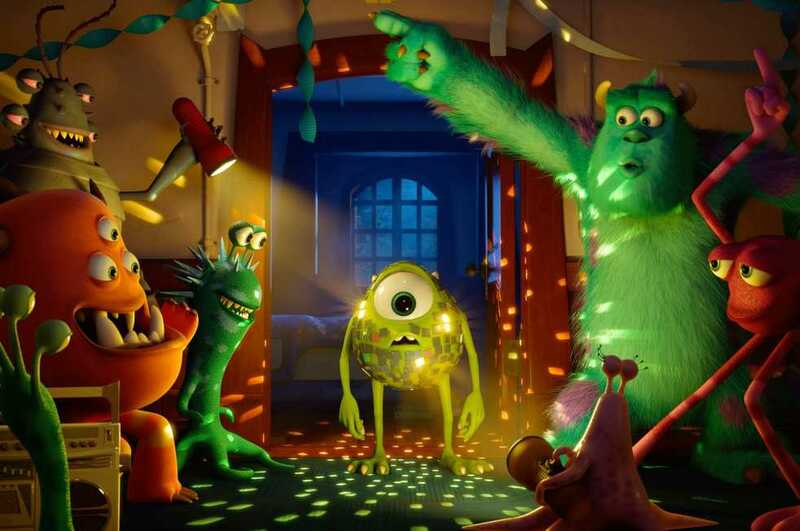 Taking audience members back to the first encounters between the one-eyed Mike and the macho Sully, Monsters University flies us into a prequel story filled with initial disgust, eventual reconciliation and lasting friendship. In a recent conference call with Scanlon and Rae, the Technique was able to delve into the inner workings of the new production. Quite jovially and with a sense of humor that is reflected in their work, Scalon and Rae were both very enthusiastic and personable about Monsters University and its appeal to both college students and adults. Scalon spoke about the actual mechanics of making a younger Mike and the difficulties of developing a “younger looking eyeball.” Besides the color, Mike is made to be skinnier and louder than his portrayal in 2001’s Monsters Inc., which takes place years after this latest installment within the story world. Sully, similarly, was made to be lighter and quicker in his form and movements, showing a younger version without taking away the large indicators of the cuddly giant that audiences have come to love. Not only does Monsters University have the classic characters, but it also brings in many new creatures within the college setting. Scanlon and Rae were able to discuss a couple of these characters and new settings. After the production committee took many tours at different college settings, running through nasty dorm rooms and exploring today’s fraternities and sororities, the animation artists were able to design a completely new environment that resembles campuses but also brings a touch of Pixar to add some magic and magnificence. As for the new characterizations, Monsters University is filled with the entire range: weird, funny, quiet, loud, good, bad. Monsters University was developed as a prequel rather than a sequel to Monsters, Inc.. Rather than expanding on the friendship and bond between Mike and Sully, the new movie attempts to trace the origins of this conjunction, reliving the good and the bad between the two lovable characters. As college holds a special place in all adults’ and students’ lives, the executive committee decided not to retrace further back to ensure that the characters still retain their personas and their adult-like conduct and humor. So far, through trailers and other promotions, fans have had glimpses of characters that reflect many of the common cliques found on college campuses today, such as the nerds, jocks and artists. This will be the first time that Pixar has taken on the college world, so results should be interesting to say the least. Monsters University seems to be a must-see. The film appeals to all Tech students as a comical portrayal of college happenings and friendships. Additionally, it promises to be a fun movie but also attempts to show a believable level of emotion, like all Pixar films. Through Mike and Sully’s journey, the concepts of friendship, self-discovery and obstacles shine. Monsters University can help students appreciate the college experience in a new light.